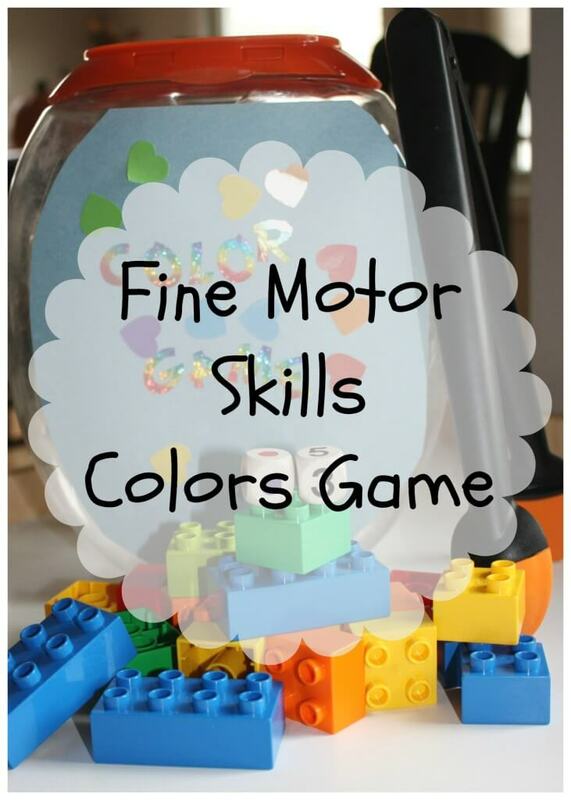 Fine motor skills, colors, numbers, counting and a little gross motor fun in one DIY game! Around here, we need to find clever ways to work on fine motor skills. We also like to make these clever ideas on a small budget! My son needs extra practice since he is very reluctant to try new things. He loves games, so I try to make this kind of practice fun by turning simple items like pom-poms and legos into a floor game. Even better when you add a little gross motor play into the mix! Head over to the Teaching Mama to see just how easy it is to throw together on a sick day, a snowy or rainy day or even a weekend morning! All you need is a container, some tongs, and as many different colored objects you want to use. Go on, I dare you to not want to do this with your kids! Today I am guest posting at Teaching Mama. Please go over and take a look and let me know what you think!